† Accompanist given as Alexander Erokhin. This track on the Monitor LP is not listed in the BIRS discography. Monitor Records was not the most reliable of labels, however I do not have the LP so cannot rule out the possibility that it is a different recording, presumably a live performance. ‡ Incorrectly given as 1966-8 with Svetlanova. 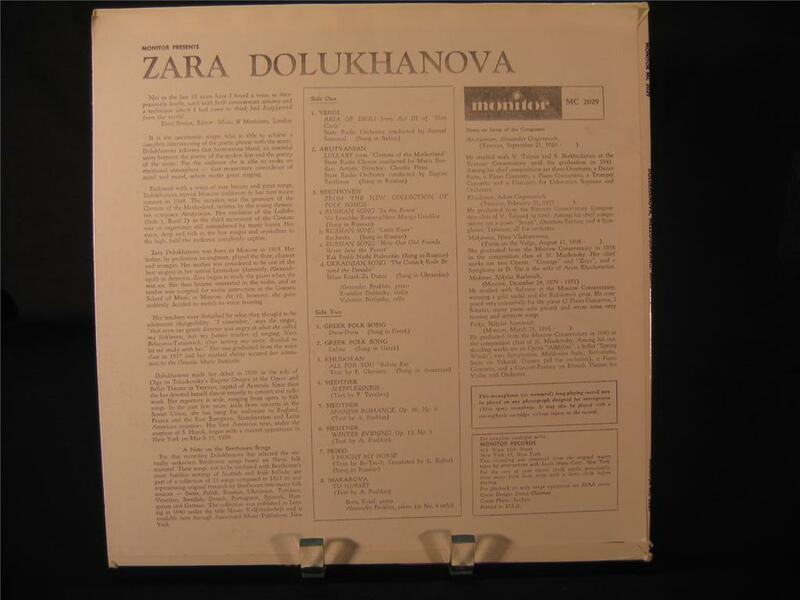 The Vista Vera CD gives Kozel and a recording date of 1956. See notes to Op 36.